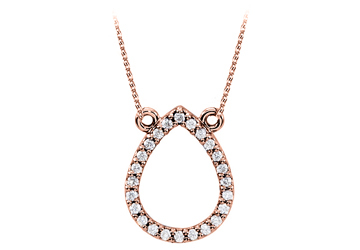 Drop shaped diamond pendant in rose gold is a gorgeous jewelry set. Beautiful rose gold enhances the beauty of this stunning jewelry gift. A free chain attached to the rose gold pendant is an ideal choice for her.